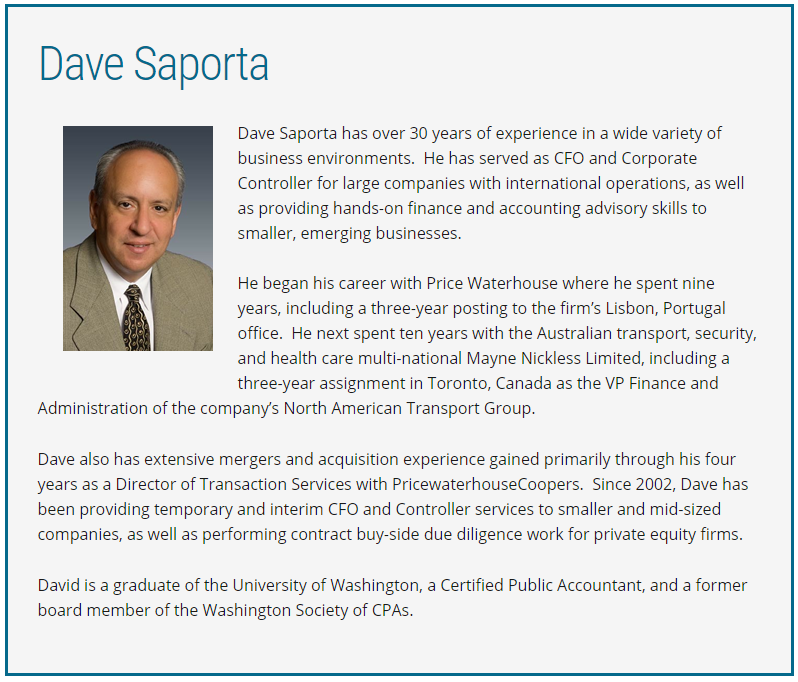 Dave Saporta has over 30 years of experience in a wide variety of business environments. 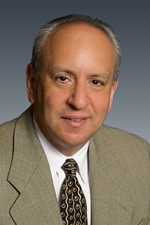 He has served as CFO and Corporate Controller for large companies with international operations, as well as providing hands-on finance and accounting advisory skills to smaller, emerging businesses. He began his career with Price Waterhouse where he spent nine years, including a three-year posting to the firm’s Lisbon, Portugal office. He next spent ten years with the Australian transport, security, and health care multi-national Mayne Nickless Limited, including a three-year assignment in Toronto, Canada as the VP Finance and Administration of the company’s North American Transport Group. Dave also has extensive mergers and acquisition experience gained primarily through his four years as a Director of Transaction Services with PricewaterhouseCoopers. Since 2002, Dave has been providing temporary and interim CFO and Controller services to smaller and mid-sized companies, as well as performing contract buy-side due diligence work for private equity firms. David is a graduate of the University of Washington, a Certified Public Accountant, and a former board member of the Washington Society of CPAs.